The new interactive art project "Adrift" aims to give participants a better understanding of the problems posed by space junk. Called Adrift, this UK project takes the form of an interactive experience, a documentary film and a listen-up sound experience. A U.S. Vanguard satellite: "I circle Earth every 130 minutes. I will continue to orbit above you for the next 240 years." Suitsat: "I was pushed out into Space in 2006 by astronauts on the International Space Station." Fengyun: A Chinese piece of space junk "from the worst space debris event of all time. Go. Me." Adrift team leaders Nick Ryan and Cath Le Couteur. 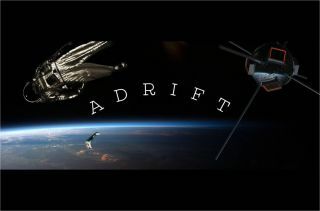 Adrift was created by filmmaker Cath Le Couteur and Nick Ryan, an audio specialist, sound designer, composer and artist. Adding to the mix of team members is scientific advisor Hugh Lewis, a space debris expert from the University of Southampton. Part of the Adrift multi-sensory experience is Ryan’s "Machine 9" — a handcrafted electromechanical sound instrument that tracks the positions of 27,000 pieces of space junk, transforming them into sound, in real time, as they pass overhead. Leonard David is author of "Mars: Our Future on the Red Planet." The book is a companion to the National Geographic Channel six-part series airing in November. A longtime writer for Space.com, David has been reporting on the space industry for more than five decades. Follow us @Spacedotcom, Facebook or Google+. Story published on Space.com.